Do you worry that you need to scare your readers every so often just to keep them awake? This work by soycamo is licensed under a Creative Commons Attribution-ShareAlike 3.0 Unported License. Cliffhangers. Traditionally, authors keep readers turning pages by a skillful use of chapter breaks. If the Main Character--let's call him Herman--is left hanging by his fingers over the edge of a great ravine, readers worry. They turn the page to find out what happens next. And that is the question: what happens next? Don't cheat by omitting important information. The only thing you can omit is what happens next. Make sure that the action in the next chapter is worth the wait and is sustained for a page or two. Otherwise, the reader will get wise, turn the page and read the next paragraph (where the chapter break SHOULD have been, reader thinks) and then closes the book. Keep the tension high enough to bridge that chapter break and keep the reader going. Alternate POV chapters. A twist on the cliffhanger is when you are using multiple narrators or points-of-view. Then Chapter 1 ends on a cliffhanger for Herman, and Chapter 2 takes up Mildred's story, which ends in a cliffhanger. That leaves you free to catch up Herman's story for Chapter 3, which--of course--ends on a cliffhanger, too. This sort of leap-frogging characters and making sure each chapter ends with something held in suspense (i.e. what happens next?) makes for reader satisfaction. Question. Instead of a literal cliffhanger, you can use a question or a mental cliffhanger. Here, you raise a major character or plot question in the reader's mind. Who was responsible for the tricycle that was placed in Herman's hallway, so that he tripped over it at midnight and broke his arm? It may be chapters and chapters before we find out, but that nagging question keeps me reading the book. Character. Of course, for those writing character books, instead of action/adventure books, the question raised is one of character. What outrageous thing will this chapter do or say next? Because readers love characters who actually SAY the things the reader is thinking, but could never be brave enough to voice. Here, make sure that the character is truly unique and larger-than-life, someone we want to follow to the ends of the earth. Twists, Turns, Surprises. Strong plots will always be unexpected. Pull a big switch, twist, surprise, or interesting turn of events--then end the chapter. The reader must read the next chapter to truly understand the ramifications of what has just happened. Give your readers a TRICK instead of a treat; and they will repay you by turning the page and reading on. I know I'm a lucky person--I'm a writer, a mommy, a wife, a dog owner!--but when the opportunity came to review Dana Lynn Smith's book, How To Get Your Book Reviewed, I thought about buying a lottery ticket, too. This is such a timely book for me--since my historical fiction, middle-grade book, Finding My Place, just came out. So, what did I think of Dana's book, why should you care about getting your book reviewed, and how will this Savvy Book Marketer's guide help you to get your book reviewed? Read on to find out! Dana begins her guide by explaining why you should care about getting book reviews (which, nowadays, are also recommendations or endorsements from readers on social networking sites and online book stores). This quote sums it up perfectly: "There's no guarantee that reviews will translate into sales, but they certainly increase the odds. With the huge amount of competition facing your book, reviews are one of the very best ways to get your book noticed and to influence purchasing decisions of potential customers." Okay, so now that you are convinced you need reviews, Dana shows you how to get them. This is a very thorough book with live links in the e-book version. She has three sections basically--by the way, she's thought of everything!--the book review process: how it works and how to submit, different places where you can get your book reviewed (you will read about places you never thought of), and what to do with the reviews once you have them to create sales. She also goes into the pitfalls of book reviews, so you will be aware of what can happen if things don't go exactly as you hoped. One of the coolest parts of this book are the "case studies." Case studies are real-world examples of the points that Dana makes in her book. For example, she suggests going for the gold and getting high-profile endorsements. Then she presents a case study of Rabbi Ed Weinsberg who wrote a book about prostrate cancer and got endorsements from people like John Gray (Men are From Mars, Women are From Venus) and Rabbi Harold Kushner, author of When Bad Things Happen to Good People. Another one of her case studies is about getting reviews on Amazon--a self-published author shares his experiences. She shares some important and vital information for all authors--self-published or traditional. Whether you like Amazon or not, this site has great influence on readers. So, you must learn to work with Amazon, and the case studies help you do this. I also liked the "Savvy Tip" highlighted boxes in How to Get Your Book Reviewed. If you just have a few minutes to skim through the book when you first get it, then read all the highlighted boxes, and you will be well on your way to understanding what you need to do get book reviews and use them to drive sales. Her tips include information on where to concentrate reviews, book promo materials, linking to reviews online and your media kit, and more. The section of the book that I found the most helpful, full of new information that I didn't know and active links so I can easily explore, is the list of online resources, including reading communities like LibraryThing and Author's Den, and how to work with book bloggers. Authors cannot underestimate the power of social media and blogs--if you can get these readers behind you and supporting you, you are well on your way to success. Some of these bloggers have quite a following and passionately endorse and promote authors they like. If you have a book coming out in the future, Dana's book is a must! If you already have a book out, How to Get Your Book Reviewed is going to help you--although it may make you panic a bit (like it did me!) because many places want to review your book right when it comes out or even before. But never fear, there are still plenty of resources and information to help you market your book in Dana's guide. I can't wait to get started getting reviews and then check out what other resources Dana has to offer on her website! 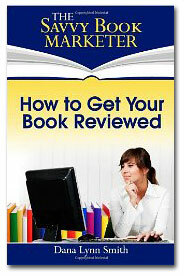 Even better news, we have a copy of How to Get Your Book Reviewed to giveaway! We're giving away a copy of How to Get Your Book Reviewed by Dana Lynn Smith. Just fill out the Rafflecopter form below for a chance to win! When was the last time you cried all the way through a book—out of compassion, out of joy, out of awe, or because you were laughing? Preemie: Lessons in Love, Life, and Motherhood is that kind of book. It’s an emotional feast everyone will enjoy. WOW: You really open up in this book and share some of your inner thoughts during that time that some people might think “un-motherly.” I appreciated this willingness to honestly speak what was in your mind at the time because, lets face it, when we are frightened and stressed our thoughts are not always apple-pie wholesome. What demons did you need to face while deciding just how much of your inner thoughts and feelings to include in the book? Kasey: It was really never a choice how much to share or not to share because I had decided right from the outset that if I was going to write this book in a truly authentic voice, I had to pull the curtain all the way back and write without any sort of filter. That being said, I worried all along about being judged for detailing those dark and potentially hurtful thoughts and emotions. But there was no denying those feelings and I hoped that by standing up and speaking my truth, I’d give others the permission and courage to do so as well. WOW: Let’s talk about the world of medicine. Most people choose either traditional allopathic medicine or alternative therapies. You and your husband chose a blending of the two. What would you like to say to people who have never thought of seeking healing outside the western medical tradition? Kasey: As you read in the book, the world of alternative therapies we explored was an invaluable part of our story, and I feel certain that Andie would have never done as well as she has without them. That being said, we never abandoned traditional medicine for alternative or vice versa. I believe it's imperative to find a balance between the two and walk a course of parallel paths. I really consider the medicines complementary; that utilizing them in conjunction with each other will result in the optimal and best benefit. WOW: Andie is now twelve; how does she feel about the book? Kasey: It's really fun for Andie to see her story going out into the world and helping so many others. And she really seems to get it; that her story is just a part of a “bigger” story. On the other hand, when I chose to write so openly and honestly, especially about how I rejected her in the early days, it was difficult for her. But ever since she’s been little we’ve had open conversations, and I’ve tried to model the importance of “speaking our truth” rather than allowing those fears and emotions to breed and grow in the dark. So when she came right out and said, “It really hurts my feelings that you didn’t want to see me,” I was able to explain my reaction to her birth and clarify that I was so afraid to love her because I was so afraid to lose her. Interestingly, just a couple of weeks ago, Andie had the chance to visit her former NICU. After seeing a baby born at 25 weeks, weighing a little over a pound just like her, we walked out hand and hand and she said, “I get it now, Mom.” Needless to say I let out a big breath I’d been holding for quite some time! WOW: I can only imagine the relief you must have felt! 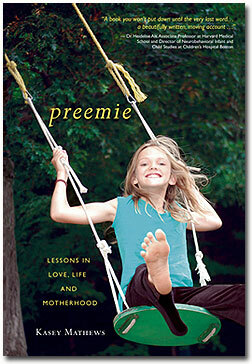 What message do you hope readers take away after reading Preemie? Kasey: There are so many messages and lessons that I learned and shared in the book, but if I had to just one that I hope readers take away it would be: Choose love over fear. WOW: That is a beautiful motto to live by! So, what's next? Would you like to share your work in progress? Kasey: Actually, my next book idea floated in on the breeze this summer, but it’s so early in the process that it’s still forming. It feels like I’m just pregnant and it’s still too early to tell everyone! That being said, I will say that it will be another book that offers stories and lessons about life, just like Preemie. WOW: I’m looking forward to it! Thank you again for visiting with us today. We’re giving away one print copy of Preemie: Lessons in Love, Life, and Motherhood (Hatherleigh Press; May 29, 2012) by Kasey Mathews. Use the Rafflecopter form below for a chance to win! As someone who has been weighing the pros and cons of self-publishing lately, I embraced the opportunity to interview Dara M. Beevas via phone about her new book, The Indie Author Revolution: An Insider's Guide to Self-Publishing. Dara M. Beevas is a writer, editor, blogger, speaker and indie author. She mentors other indie authors as vice president of Beaver's Pond Press, an award-winning mentoring publisher in the Twin Cities that has helped more than 600 indie authors self-publish. Her passion for authors and the indie author revolution led her to launch Wise, Ink, an online community for indie authors. She received her Master's Degree in publishing from George Washington University and was selected as an emerging writer by the Givens Foundation for African-American literature. 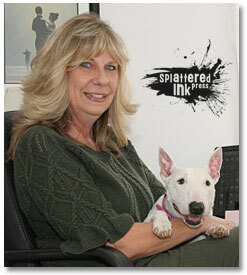 In her spare time she writes poetry, short stories, and is a speaker on the topic of self-publishing. She's reachable via her blog www.wiseinkblog.com, LinkedIn, and @darairene on Twitter. WOW: The Indie Author Revolution: An Insider's Guide to Self-Publishing is packed full of lots of advice and information. How did you come to write this book? Dara: Well, in my day I work with authors. I've worked with authors most of my career, which is going on ten years, in this funny industry we call publishing. And, working with authors every day, I've picked up so much about their experiences. I learned so much about what goes into writing a book, what should go into writing a book, how to get it to market, and what goes into marketing a book. I basically started blogging, and the blog died after a while, but I had this idea, what if I put this information into a book from my unique perspective of working with authors. And so I culled those blogs that I wrote and put them into a very bad first draft and it kind of grew from there. WOW: What sets The Indie Author Revolution apart from any of the other books on how to self-publishing? Dara: I think that the Indie Author Revolution is different because, number one, it was written and released at the right time. When self-publishing is no longer a disgraceful way to get your content into the marketplace, self-publishing is now an acceptable way to get good content out there. And so, it is a book written at the right time. But the content itself is different because I really want authors to think about their books as a business. I want authors to look at the publishing endeavor as a business function of their book, of their writing. And so, it's not just about writing a good story anymore. It's about writing a good story, then producing a good product from that good story and then marketing that product to the right audience that you have to research really well before you publish. WOW: One of your suggestions in your book is to also make sure, if someone self-publishes, to hire good people to help with the book. Did you follow your own advice with The Indie Author Revolution? Dara: I did. I followed my own advice to the "T." I hired four editors to work with me on this book. 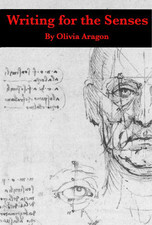 I not only had a designer design the book, I hired an illustrator to illustrate the artwork on the cover. So all those cool people that are lifting up their books and lifting up their iPads and Kindles, those were all hand drawn by an illustrator that I hired. I also hired a proofreader, I hired a professional indexer. I also hired a publicist. It really is, in my mind, a book that follows that old adage, "It takes a village to raise a child." A village raised this book. My name is on the byline, but several people helped me get it to the quality that it is. WOW: One of the statements that I highlighted in your book is that "With self-publishing, you get what you put into it." Dara: My nature is such and it is easier for me to take the easy way out on lots of things. After the first edit and after the second edit, I very much wanted to say, it's good enough. But I took the advice of those around me that said, "You know what, I really think you should do this." And "You know what, I think your introduction could use a little more finesse and punch and excitement." Or, "Do you mind if I make some notes?" And it happened again when I had a designer do some cover mockups. The designs she did, they were good, but not great. And another person said, "You should really get something custom made." Really, should I spend that money? Well, yeah, I should. It's going to have my name on it. And, I have to tell you, with all of the extra things I did, I feel so confident about this book. I am so proud of the work that others helped me put into it. Because of that, I have such a high sense of gratefulness and pride that every Indie author should have. Dara: Oh, heck no. It's hard. It's frustrating. There are lots of lows. There are great highs. But there are definitely lows. It is not easy to publish, period. Whether you publish traditionally or publish your book yourself. Publishing, in and of itself, is hard. There are lots of things you don't know that you have to learn. Lots of terms you don't know that you have to learn. There's also a lot of vulnerability you are going to feel with putting your work out there. And then you're putting your work out there that you're doing and funding yourself. So it's doubly vulnerable. I think the beauty of getting a book deal is being able to hide behind a big imprint. But if you are the publisher, then you don't get to hide. It's by you, from you, marketed by you. And it's hard. Really hard. 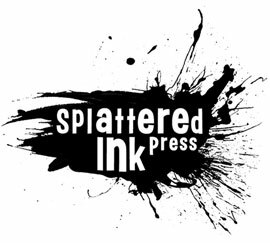 WOW: What have you learned about indie publishing that you were surprised by? Dara: I was surprised by how long it takes. I honestly thought, when I first started working on that first draft that it was going to be done in six months. Not kidding. I know what I want to say, I work with writers, I help writers, I help edit. I'm going to do this with no problem. And then I discovered that for a book to truly be publish-ready, it truly does take time. What I learned, in a sentence, as long as you think it will take, multiply that by ten. Or multiply that by two, at least. It takes a lot longer than you initially think it's going to take. But I also learned that it is a very enriching experience to have a book with your name on it that you worked really hard to bring to the market. WOW: How long did it take you? Dara: It took me two-and-a-half years. 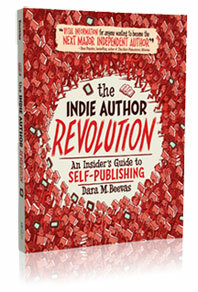 Writers, if you are interested in learning how self-publishing works—from launching your idea and building your book to marketing your book—check out this comprehensive resource, The Indie Author Revolution: An Insider's Guide to Self-Publishing by Dara Beevas: www.indieauthorbook.com or Amazon. Dara M. Beevas was asked her five questions by Elizabeth King Humphrey, who wanted to ask Dara about 50 more questions. Elizabeth is a writer and editor living in Wilmington, N.C. While editing levels and styles seem like a very straightforward, grammar-filled discussion, if you don’t know about the differences, then it’s hard to understand what might be available. It's a little bit like ordering a pizza. You may know the basics, but if you don’t know about the differences, you might not know what to order on a pizza...or know how to look at a manuscript for the edit. For me, often being able to visualize something helps me to understand it. Sort of like: How can you order a pizza without knowing what’s the pizzeria offers? Maybe I’m too hungry as I start writing this, but I was thinking about how to explain to a student about editing and variables in editing. And I started to think in terms of pizza. When I started trying to think of something else, I kept coming back to the image of a pizza. Why a pizza? 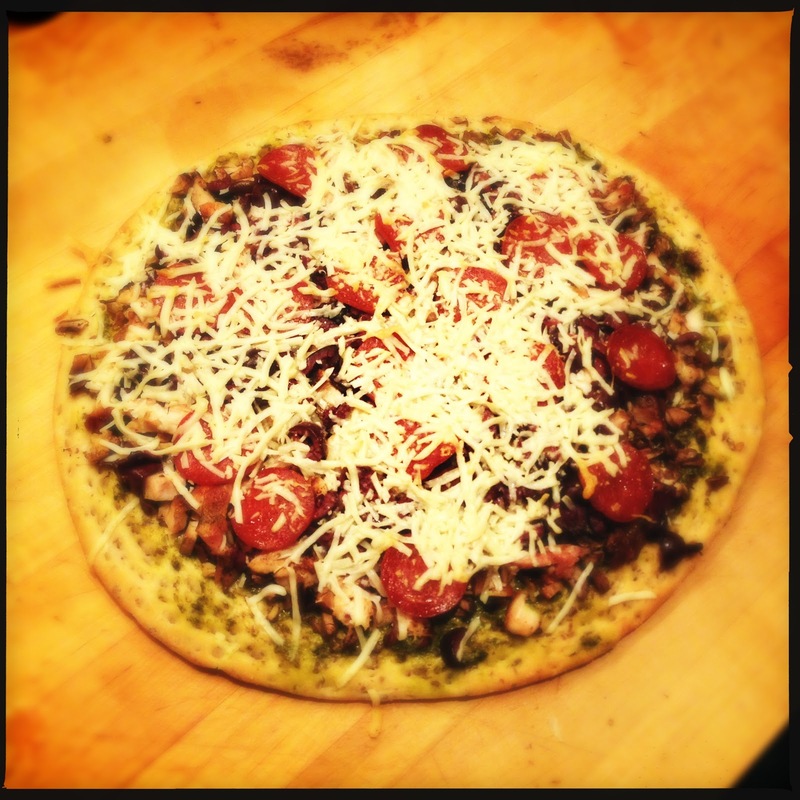 Because there can be so many toppings, but editors build upon a base. Besides, doesn't everyone has their own favorite pizza? As editors, we have to know our base. Maybe it’s APA-style versus Chicago-style crust. Is there a house style to consider that alters the pizza style to make it their own? Don’t we all have a favorite pizza place? What kind of writing is it? Is it a technical document versus a romance novel? Think about how toppings can change what the pizza is: Is it pepperoni or pineapple with ham? How is the pizza divided and served? Regionally diverse colleagues discussed the unusual square-cut pizza pieces one local Southern pizzeria provide versus those who might provide a meal-in-a-slice. Is the document a short story, a novel or an instruction manual? I know. It’s kind of strange to compare writing and editing to pizza, right? Maybe. But I’m hoping this helps my student to see the amazing variations that editing can have. And it is just unusual enough to make it memorable. Or maybe it just reveals that I’ve been watching too many episodes of Kitchen Nightmares? So tell me, is there an image that has helped you learn something about writing or editing? If not, do you have a favorite pizza? When she’s not making or eating pizza, Elizabeth King Humphrey writes and edits in Wilmington, NC. When I was a callow teen, I had visions of swanning in the literary salons of Paris as wealthy, middle-aged counts made fools of themselves over me. Though impoverished, I was an intoxicating writer in the tradition of George Sand -- one who stirred men's hearts and incited women's envy. 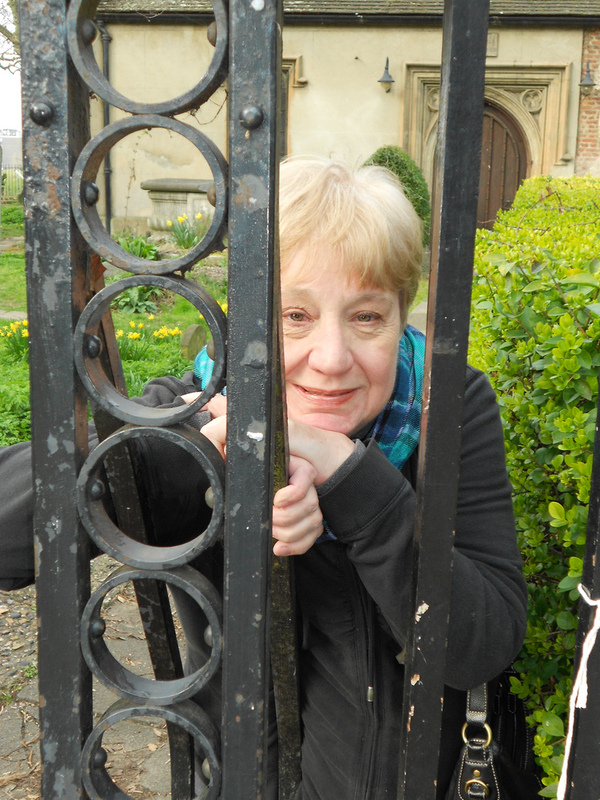 In my visions, I was eventually rescued from my freezing garret by a bodice-ripping poet. We married, grew wealthy from our popular books, and lived happily ever after, quaffing champagne and dancing in the Tuilerie gardens on warm summer nights. Should we have children, we would see to it that their devoted nanny would be well paid. Eventually reality bit, bringing me down to earth with a thud. After I graduated from college, I was forced to admit that there were no attentive counts, middle-aged or otherwise, no bodice-ripping poet and, later on, no devoted nanny to assume the burdens of child-rearing. On the plus side, I had been fortunate to go through college and graduate school on full scholarships. Predicated on my early training as a concert pianist, I continued as a music major, but a musician who wrote. Though I love music, writing has always been like oxygen to me. Following a failed first marriage to a fellow graduate student, I met David and his three school-aged daughters who lived with him. When David and I married, I instantly became their "mom." With a simple "I do," those Paris fantasies faded from memory. Yet I loved being "mom," which I regarded as a special honorific title. And I had something far better than fawning French counts: my husband, who is also a writer. We vowed to make up for lost time later, rather than wallow in the empty nest syndrome. David and I both enjoyed successful Washington, D.C. careers, but we still kept our eyes on the ultimate goal: to dedicate our retirement years to writing -- he religious non-fiction, me crime fiction. Simply because your children no longer live under your roof does not mean you are totally free from parenting. And ours seemed to require more than most. There were times when one or more would move back home; other times when they refused to speak to us; times when they waxed sentimental about their upbringing; and golden instances when they showed signs of becoming strong, independent women -- which is where they are now. Face it: unless a couple can thrive on just one income, setting aside time for creative writing is nearly impossible while working full time, raising kids, fulfilling day-to-day family responsibilities, and cleaning up puppy doo. I recall a music conservatory colleague once said to me: "Becky, don't ever fall in love much less marry. The grind of a marriage will be the death of your career. Become the mistress of a wealthy man, and sleep with him whether or not you love him." Yet even as I scrubbed pet mess from the carpet, I dismissed her advice as baloney. The longer we live, the more we realize that life goes on. I have not only raised a family, postponing my literary dreams, but I have endured to become an author while surviving open heart surgery. It took me two years to become whole again, but by that time I had already written seven books in the Mick Chandra mystery series, eventually publishing the first one as an e-book. Meanwhile, David is in the process of publishing his 15th book. So, indeed, we have kept our literary vow to each other. Recently we went out to lunch at our favorite neighborhood Italian restaurant. As we entered, a strikingly handsome young man who works behind the counter flashed me his killer grin, and waved. "Is he flirting with me?" I asked my husband. "He always flirts with you," David answered. "Haven't you noticed?" "Doesn't he know I'm old enough to be his grandmother?" David shrugged, "Sure. He just doesn't care." Kids, if you happen to need us, your father and I will be dancing in the Tuilerie. Rebecca Yount's debut crime novel, A Death in C Minor: A Mick Chandra Mystery, is available in e-book format from Amazon.com; Apple iBookstsore; Barnes & Noble; Sony Reader Store; Kobo; Copia; Baker and Taylor; and eBook Pie. 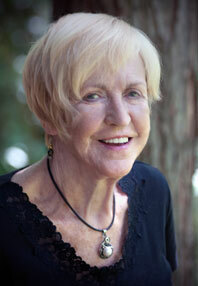 Her second Mick Chandra mystery, The Erlking, will be published in the fall. Her website is www.rebeccayount.com. The rise of digital publishing has completely changed the landscape of how we consume content. That e-books have surpassed and continue to surpass the sales of hardcover books has been newsworthy more than a few times this year. Most people, even industry professionals who ten years ago were prematurely mourning the ways in which digital publishing would make paper books obsolete, agree that digital publishing has actually revived publishing. It’s given non-readers a whole new platform for reading, and it’s proven that certain demographics—older women and professional men—are in fact buying more books than ever. 1. You're a business owner looking to build visibility for yourself and your business and you publish an e-book to use primarily for promotional purposes. 2. You’re an already well-known author who has a big following and want to publish something short and sweet (in the 5,000- to 10,000-word range) for your readers—and you know they’ll come. 3. You’re publishing a few chapters of a longer book in an e-only format several months (but no more than a year) before the full print (and digital) book is released for the purposes of gauging readers’ interest and/or building buzz for the bigger book. 4. You’re in the business of producing quick e-books as products, making use of key words to encourage impulse buys in what closely approximates a get-rich-quick scheme. The above reasons are good reasons to publish digital formats without a print counterpart. All of them have to do with increasing visibility (i.e., growing your platform) or making money. You can make good money with e-books, but only if you follow the low word-count model. If you have a traditional-length book (60,000–100,000), that’s a book you want to see in print. Because Amazon essentially forces authors to price their e-books at $9.99 or less, the vast majority of authors aren’t making big bucks off of their e-books (unless they’re a scenario #2 author, like Stephen King or Ann Patchett). By the time you’ve written 60,000 to 100,000 words, you’ve put a lot of work into your book. I’ve worked with a lot of authors who’ve trimmed down their 100,000-word books to 80,000 and published the other 20,000 as Kindle edition books. Smart business! The only way to make digital publishing work for you is to use it in tandem with print publishing. Digital publishing isn’t hurting authors, unless they don’t understand that it’s supplemental. 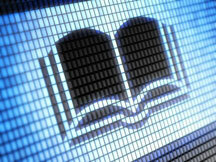 E-publishing has not surpassed print publishing, and it will be a good long while before it does. If being an author is part of your long-term goal for yourself—whether exclusively or in conjunction with what you already do—you need to value print publishing as king and use digital publishing to your advantage. Yes, I’m pretty much saying honor the former and use the latter. When you make digital publishing work for you, it will never harm you, but if you start to believe that it’s anything more than a stepping stone, or perhaps a quick way to make a few bucks (when you do it right), then it can be detrimental to your long-term publishing goals. 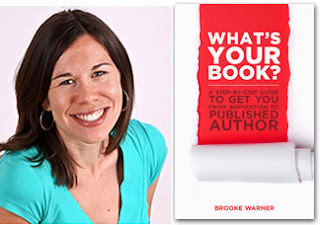 Brooke Warner is founder of Warner Coaching Inc. and publisher of She Writes Press. Brooke’s expertise is in traditional and new publishing, and she is an equal advocate for publishing with a traditional house and self-publishing. What’s Your Book? A Step-by-Step Guide to Get You from Inspiration to Published Author is her first book, and she’s honored to be publishing on She Writes Press. Labels: Brooke Warner, digital publishing, e-book publishing, print vs e-book, She Writes Press, What's Your Book? Writing for the Senses by Olivia Aragon is a book full of creativity and inspiration--in fact, it is the perfect book for a writer who loves prompts OR writers who are trying to improve the amount of sensory detail they have in their writing. It's chock full of writing prompts--365 of them to be exact. Remember, the craft of writing takes practice, and that is what Olivia is providing you in this e-book. She starts with an introduction, explaining what led her to pen a book of prompts. Her story is similar to many of ours. She has studied writing, earned a degree in it, taught writing, and read books full of advice. But she still stared at a blank, white page. "What I’ve found is that it’s incredibly helpful to have somewhere to start besides the blank page," she writes. "That’s what brought me to writing this book. My students, my friends, and I needed somewhere to start besides that scary white page staring back at us." She also explains that these writing prompts can be just for you, or you can turn them into something publishable. But the one requirement that she has is that you remove the inner critic while you respond to them. That is amazing and excellent advice! The 365 prompts are mainly designed for fiction writers to get in touch with their senses and bring that awareness to their stories. She organizes the prompts into ones that focus on each of the five senses and exercises that address all five at the same time, as well as a few that focus on reading, inspiration, excuses (none of us have any of those, right? ), and old ideas. Being a writer myself, I decided to try out a few of her prompts. Here's how I feel after this experience. I like this prompt a lot because sometimes I lay in bed at night, and I think to myself, Why am I doing this writing thing to myself? I am crazy! But when I did this prompt, I realized that I would not be happy doing anything else. I can't imagine a life where I am not a writer. So, I am going to keep the response to this prompt and read it whenever I am feeling a bit down about the writing life. Prompt three from the "smelling" part of the book: Write about the smell of old books. This prompt made me really think--the first thing that comes to mind most likely for everyone is musty--but when I write, I don't want my readers to read the same thing that everybody else writes. So, I dug deeper, and I tried to compare the smell of old books to something--a memory came up of when my husband gave me an old book for Christmas the first year we were dating to support my writing. It was very sweet. So, I connected a memory with the smell. I'm not sure if that's what this prompt was supposed to do, but remember, Olivia instructs us in the beginning to let ourselves go! This is a well thought-out book--it's like taking a fiction writing class for a year for under $12.00. It will take dedication and determination to complete one prompt a day; but as with all things, you do what you can--if you need particular help with hearing and feeling sensory details, then focus on those first. You don't have to do the prompts in order, necessarily. The best news of all is we have a copy of Writing for the Senses to give away. Winner will have 48 hours to respond or a new winner will be picked. Good luck! Harriet Parke is a registered nurse who specialized in emergency nursing and Emergency Department management. 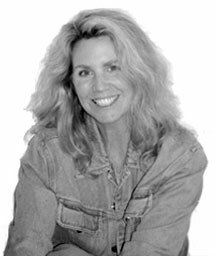 She has been published in My Dad is my Hero anthology, six Voices from the Attic anthologies (published by Carlow University, Pittsburgh, Pa.), the Pittsburgh Tribune-Review, and Pittsburgh Magazine. She has received an honorable mention from an Atlantic Monthly student short fiction writing contest. She is a member of a The Madwomen, a Carlow University writing group, and a member of Pennwriters. Her first novel, Agenda 21, is complete and she is seeking representation for it. She lives in beautiful Western Pennsylvania with her husband. A wild peacock roosts on her deck anytime he chooses. 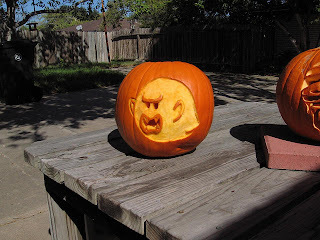 WOW: Congratulations on placing as one of the Runners Up in our Fall 2012 competition! What inspired you to enter the contest? Harriet: I have always appreciated the quality of the submissions that appear as winners and honorable mentions in your competitions. The critiques you make available to contestants are amazing. Feedback on my writing is so very valuable to me. Harriet: I was thinking of the Ten Commandments and how we, as humans, often break one commandment or another, how we are almost childlike in that respect. So I wrote "Daddy's List" as an allegory and put a child in the "garden" and wrote how, in all innocence, she strayed away from the list and came face to face with the serpent. WOW: As a registered nurse who specialized in emergency nursing and Emergency Department management, you must have seen and heard a lot. Have any of these experiences made it into your writing? Harriet: I have great respect for patient privacy so I do not write about actual events. I do use what I learned about human behavior when building my characters. WOW: You’ve completed your first novel, a big project for sure. What has your novel writing journey been like? Harriet: I had the support of my writing group, Madwomen in the Attic at Carlow University in Pittsburgh. I submitted to them what I thought was a stand alone short story but they strongly encouraged me to keep going. From the beginning to the final finished version, I had inspiration and support from that group and many others. Writing is a long, solitary process but editing and revision is best done with support from other writers and readers. WOW: We hear from many writers how important a good writing group can be. What do you enjoy about flash fiction writing versus the other kinds of writing that you do? Harriet: Flash fiction forces an economy of words so that no matter how large a subject. . .for example, the Ten Commandments. . .every word has to carry the narrative in a concise and critical way. WOW: I bet those skills have helped with your novel writing. Thanks so much for chatting with us today Harriet! Before you go, do you have any tips for our readers who may be thinking about entering writing contests? Harriet: Enter! Subscribe for the critique! Allow your writing to be read by knowledgeable people in the literary world and learn from their comments. Then write some more and enter again! You know what they say about fools rushing in, right? But I still decided I’d tread into the subject of social media and sharing opinions. 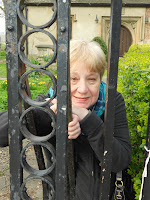 My writer friends on the web range from freelancers to essayists to novelists to poets. I love that they share advice, contests, quotes, articles, books and websites. But blasting personal opinions on every aspect of our culture? Not so much. It’s not that I have a problem with opinions unlike my own. I may not always agree with your opinion, but I’ll defend your right to share it. But an opinion once shared can’t be unshared. If I read a vitriolic attack, snide comment, or hurtful diatribe, I can’t unread it. The words are stuck in my head. And words have a power all their own, don’t they? 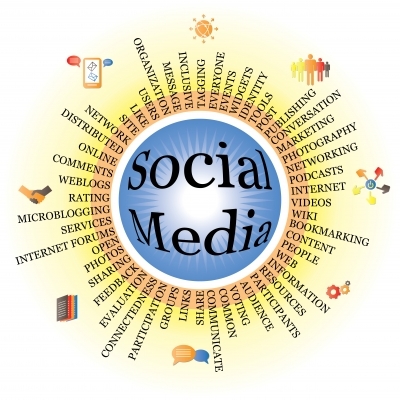 Say you’re a writer using social media for promotion, and to build your audience. You may have a ton of “friends” who find you through your work. You may constantly add people to your network, people who love what you’ve written, who really enjoy being a part of your professional world. After all, it’s exciting to know a writer whose byline is in a favorite magazine, or get tips from an author whose books you’ve seen in the library. Except… these are “friends” of the writer you. They don’t really know you, the person. Until they begin to read a plethora of personal opinions. Then they begin to see what makes you, the writer, tick. How you feel about music, family, religion, politics, or pudding. And though a “friend” might not get too emotional about whether you like bread pudding served warm rather than cold, that same “friend” may get very emotional when you head into more contentious topics. Topics that can start out as an objective statement and end up in objectionable name-calling. Now, it’s quite possible that a writer’s personal opinions will draw like-minded people in, build stronger relationships. But it’s also possible that a writer will alienate another faction of his or her audience with the very same opinion. And that’s a factor that could affect a writer’s bottom line in the market place. So I suppose my bottom line is that I think it’s smart for writers to keep it professional out there in the wide world of the web. And honestly, I don’t think people mind hearing about Scruffy’s occasional hijinks or Junior’s latest brilliant award. It’s nice to get a peek at the human side of you, the writer. But I’d save the strong personal and cultural opinions for the real friends, the ones who know and love you. Or consider adopting two personas, the public, professional writer you and the private, opinionated personal you. Seems like good business to me. But then again, that’s my personal opinion. I’d really love to hear yours. As writers, we often like to share our opinion--on Facebook, Twitter, and Goodreads. We hope someone out there is listening and will chime in if they are feeling the same way. Well, we WANT your opinion on a couple of things we are planning for 2013, and we are going to listen! We would love to hear from you. Leave your responses in the comments section! Finally, we are also wondering what themes are interesting to you to read about in our e-zine for 2013. Themes we have recently covered are: Make Money as a Freelance Writer, DIY Self-publishing guide, the Portable Writer, and The Art of Storytelling. If you have a theme idea for an entire issue, leave it in the comments section below. But we would also love to hear what article ideas you have--sometimes we can create a theme around these! 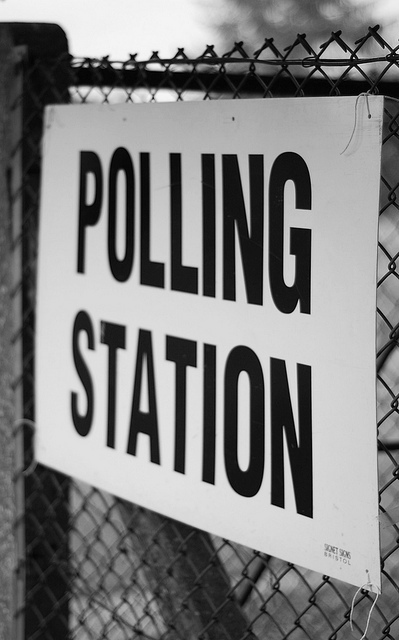 So, we are polling you, so let's hear from you!!!! Life is a grand adventure, don’t you agree? It’s full of bumps, pitfalls, and opportunities for learning. Some of us, the slow ones, are determined to learn each new thing on our own. And some, the smarter ones, are willing to learn from other people’s life experiences. Allow me to tell you about an interesting thing that happened to me recently. 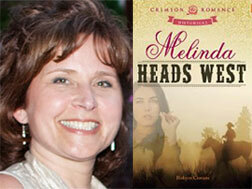 At the beginning of the year, I completed a 50,000-word novel called, “Melinda Heads West.” I spent a month or so polishing it up and researching publishers. I found one that looked promising. Their publishing criteria seemed to match my book. For initial submissions, they requested a ‘blurb’ and the first three chapters. No problem. I was prepared for that. I carefully worded an email, said a lengthy prayer, and clicked "send." My first response was delirium. At that point I didn’t care if they ever published the book—they had liked the first three chapters! That was enough for me! My next response was: WHAT’S A STINKING SYNOPSIS? A major crash course followed. It took me a week to reply to the editor, and I’m certain that she has seen much better work. Thankfully, she also had the full manuscript, which she evidently liked. I signed a contract on June 22, 2012. But let’s talk about that stinking synopsis. For those of us who write full length novels, it’s something that should be talked about a lot more. Wikipedia says it is “a brief summary of the major points of a written work . . . an abridgment or condensation of a work.” But it’s much more than that. That’s all! And it must be written in present tense. And it must tell the WHOLE STORY. (Yes, even the ending.) Whew! The idea is that editors are busy people. They need to know: a.) if you can write, and b.) if you have a compelling story, without having to read every 250-page manuscript that crosses their desk. There are plenty of resources on the web to help you craft your (stinking!) synopsis. I've listed a few that might help below. Remember to include your name and contact information, along with the name of the work. Double space throughout the document and use Times Roman 12-point font unless they ask for something different. Good luck! Forewarned is forearmed! If I squint just enough, jut my neck forward until it feels like it's going to snap, and swallow enough aspirin to give this headache a 1-2 punch, I'll be able to type this blog post. Then I will take a break. Or, maybe I need bifocals. I mean, I have lived just over half a century, and my eyes aren't getting any younger. Plus, medical studies show that long blocks of time in front of a computer screen can increase the chance of glaucoma. Seriously, if you spend a huge chunk of time in front of a computer monitor, several simple adjustments can give your eyeballs a break! Test these tips to cut down on digital eye strain. Check your work space. Do you constantly adjust the angle of your monitor? I was, until I moved my laptop closer to the front of my desk. (Genius, I know. :) ) It's the Goldilocks and Three Bears effect: too far away = squinting, too close = headache. But when the screen is at the perfect angle, I could write for hours. (Well, I usually do...) Programs like f.lux or Google Sunglasses adjust the monitor brightness to the time of day. Turn on lights. Remember when your parents would say, "Turn the lights on or you'll hurt your eyes. You can't watch TV in the dark." Same principle applies to the computer screen. Once I added a lamp on my computer desk, my aching eyes felt immediate relief. Adjust the font. Increasing font size is an easy fix. Why not bump up the type to 12 or 14 instead of that tiny 10-point? Take a break. My eye doctor suggested I write for 20 minutes, then take a break and focus on an object that is 20 feet from my computer. I've been trying to keep this schedule, but sometimes, when I'm in my groove, I forget. That's when I . . .
Set a timer. Computer programs like EyeDefender (Windows) or Workrave (Windows and Linux) remind you that it's time for a cup of tea or a walk, time to get up and step back from the screen. Stay hydrated. Drink water. Period. Those scratchy, itchy eyes will thank you, too. Blink. Not only does blinking bring moisture to the eyes, those built-in windshield wipers keeps dust and irritants from the eyes. Okay, my 20 minutes are up and the timer is beeping, demanding I take a break and grab a glass of water. No headaches. No neck breaking. And best of all, no eye strain. Greetings, Muffin readers! We're excited to share another Flash Fiction winner with you today. Head over to read "Faceless," if you haven't had the chance, and then return to The Muffin for a sweet treat with author Jennifer Baker. A native New Yorker, Jennifer Baker has been writing since she entered the academic institution and continues to do so every moment she gets. Jennifer received her MFA from The New School’s graduate program in Creative Writing and is an alum of The City College of New York’s baccalaureate program in English. She works as a production editor in academic publishing, while also freelancing as an ESL tutor, proofreader/copyeditor, and editor. 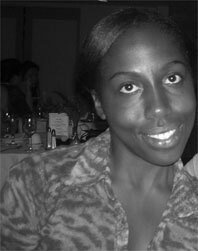 Her flash fiction has been published in Boston Literary Magazine and Eclectic Flash, and her articles/essays have been published on AroundHarlem.com and most recently Poets & Writers magazine. Jennifer is currently working on a variety of flash fiction in addition to a multi-generational linked story collection centered around race and family. She enjoys baking and updating her blog (www.jenniferbaker.com/blog) with articles, food/book reviews, giveaways, interviews, and writing information. WOW: Welcome to The Muffin, Jenn. Congratulations on having your story selected as a runner up in our quarterly flash fiction contest. I like flash fiction because it requires a writer to create a vivid picture in a compact amount of words. In your opinion, what makes flash fiction so powerful? Jennifer: Conciseness. I’ve read some amazing work translated in such a few words from flash fiction to poetry to prose poetry and personal essays. Being able to paint a picture is what I consider it to be and to do so in 1000 words or less is quite masterful to those who do it successfully, I think. WOW: And you are correct, I think. I also look at a flash piece's title and hope it captures a story's essence. I'm naturally drawn in by a story's title. I like how you weave 'faceless' into the piece. Why did you decide to use that single--but powerful--word to make a point? Jennifer: Originally the flash fiction piece was named “Invisible” but my friend Ennis (who is also one of my critique partners) suggested ‘Faceless’ because of the fact that the inability to see the wife’s face was haunting for the protagonist and that the wife doesn’t know the protagonist exists. So these women are faceless figures to each other. WOW: It adds a hint of mystery and tension to the piece. While reading your bio, my curiosity grew about one of your projects. Please share information about the multi-generational story collection you are writing. It sounds interesting! Jennifer: It’s something I’m very passionate about and have been working on for about five years. Back in 2007 I finished a few drafts of a novel I wrote and had lost interest in it. I started a story about a biracial girl who lost her mother when she was a baby and her father would never speak of her mother. The girl devised a plan to break into his bedroom and find anything he may have hidden about her mother. This turned into a linked collection about the entire family spanning three generations from the girl and her brother to her parents to her grandparents at different times in their lives. The original story has changed immensely from the initial idea but the overall premise of the anthology is about identity, family, and relationships. I’m revising pieces now and hope to have the latest draft done in the next year. WOW: I'm going to keep my eyes open for this. It sounds intriguing. (smiles) I'm curious: do you outline before you write or do you let characters take you on a journey? Jennifer: Since I’m mainly working on a story collection I don’t outline. The stories really do have a mind of their own once I sit down to write. For stories (flash/short fiction) I have an idea and build from there. I am writing a YA (young adult) novel as well. That I did outline because it has a straight arc over a long period of time. But for my linked collection I have a huge Excel spreadsheet of who each character is, what they look like, when they were born, what story(ies) they appear in and such to be able to keep track of the cast. WOW: I like the idea of using a spreadsheet to track characters. I think I may need to borrow that idea, if you don't mind. Jennifer, I know you received your MFA degree. Recently, a lot of writers have openly debated MFA vs. no MFA. How has your degree helped you and your writing? Jennifer: Sorry to say I don’t think the MFA program I was in helped too much with my writing, time did. In writing more, in reading voraciously, in watching and breaking down character development in film, and observing people, I was able to learn from all these elements to gain a better sense of my own narrative voice. Graduate school allowed me to meet some great people like my mentor Jeff Renard Allen and my friend Ennis and others through these connections. However my development as a writer took time, a lot of learning what did and did not work for what I wanted to write, and understanding what writers I enjoyed and why I enjoyed their work. WOW: Those are good lessons that undoubtedly have shaped your writing. I also wonder if working on an advanced degree prepares a writer for navigating the creative process. What's a typical writing day or session like? Jennifer: For me if a line, paragraph, patch of dialogue, or idea hits me I try to scribe it down as soon as it comes to mind. But when I have a set span of time to write I open Google Drive or Microsoft Word and just go for it. Like you mentioned the characters can take me on a journey in that I am literally not thinking about what I’m writing as I’m doing it. It just happens and when I read it back it either works or it doesn’t. It’s when I’m going back to edit that the thinking and ‘connecting the dots’ comes into play. ‘The zone’ is a pretty accurate word for me when I’m having a good writing day where I cannot be stopped or interrupted and everything just happens to the people on the page. WOW: Here's to having more days in "the zone" and continuing to write what flows from mind to hand to page. 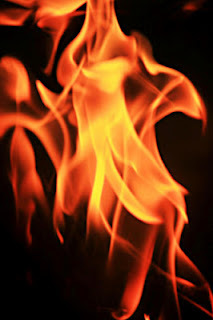 Thanks, again, Jennifer for sharing your thoughts about writing and flash fiction. Today, we're shaking things up a bit. We usually conduct an interview with the author for blog tour launch days, but since we interviewed Nina Amir a couple of months ago for the WOW! Women On Writing e-zine, we decided to treat you to a book review instead. In case you didn't catch it the first time, you can read an interview with Nina Amir here. Below, you will find a book review written by WOW blogger Jodi Webb, followed by the author's information, blog tour dates, and a Rafflecopter giveaway where you have the opportunity to win this fantastic book. Be sure to check out the excellent list of blogs we have scheduled for this tour and visit them for more chances to win as well as informative posts not found elsewhere. I must confess, when I began reading Nina Amir’s How to Blog a Book I was skeptical. After all, blog posts are short—snippets of writing—and books are, well . . . long. Sure, it might be possible to create a book out of blog posts but it would have to be a certain type of book. Julie and Julia, the day-by-day record of a woman learning to cook, comes to mind. But the idea that blogging a book could work for any writer, any topic, any type of book? Hmmm. Halfway through chapter two I was a true believer! Not only does How to Blog a Book show you how blogging can work with any type of book, but it also points out so many advantages both during the writing process and the promotion process that you’ll find yourself saying, “Why didn’t I think of this?” Amir approaches the topic of blogging a book by assuming that we know nothing about blogging but are willing to learn everything. She teaches the basics and quickly moves on to advanced tips and information—a method that will make even the most techno-challenged writer believe that they can master the art of blogging. This book is not just about blogging. Amir addresses book proposals, promotion, social media and more. She also points you toward even more information with lists of websites, books, and blogs that can help you in your quest for publication. Perhaps the most important aspect of How to Blog a Book is Amir’s enthusiasm. She thinks blogging a book is the greatest thing since sliced bread and her enthusiasm is contagious. Even if you never considered blogging or even writing a book you’ll find yourself mulling over ideas for your blog-book. How to Blog a Book is not just a book of information. It is a book of inspiration. How to Blog a Book is available at Amazon, Barnes and Noble, and Writer’s Digest Books. Nina Amir is the type of person that believes one is never enough. Let’s start with books . . . Amir can claim authorship of not one but nine books and worries that she has more ideas than she has writing time! Then there are speaking topics . 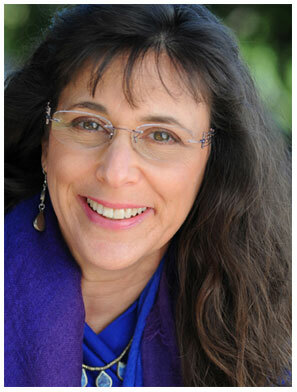 . . Amir speaks about everything from writing to Judaism to personal improvement. And finally blogs . . . Amir has created five blogs. And not just blogs! One, Write Nonfiction NOW! is both a blog and a special month-long writing challenge each November (don't miss it!). Another blog, How to Blog a Book, was created with the express purpose of writing a book with the same title. Find out more about Nina by visiting her website (www.ninaamir.com), and connect with her on Twitter (@NinaAmir) and Facebook (www.facebook.com/ninaamir). Don't miss blogging advice from Nina Amir, author of How to Blog a Book, and a chance to win a copy of her latest book. Writer Wednesday at Musings from the Slushpile is welcoming Nina Amir, author of How to Blog a Book. Thursday, October 18 @ Read These Books and Use Them! Learn how to help your student find their voice through blogging from blogger extraordinaire Nina Amir, author of How to Blog A Book. Nina's also giving away a copy of her book! You can't miss today's review of How To Blog a Book by Nina Amir! She's written a guidebook to a whole new way of writing books. Stop by to find out what a mom blogger has to say about How to Blog a Book by Nina Amir. Meet a crafter who was so inspired by Nina Amir's book How to Blog a Book that she did just that! While you're there take a peek at the book she's blogging. Nina Amir, author of How to Blog a Book, has some great advice for everyone yearning to be a published author. Don't miss it! We're globetrotting today! 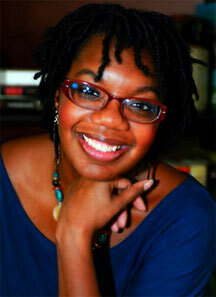 Don't miss today's interview with Nina Amir, author of How to Blog a Book, with a blogger located in Nigeria! Don't miss some great writing tips from Nina Amir and a chance to win her latest book, How to Blog a Book. Win Nina Amir's must-have book for writers: How to Blog a Book. Nina will also be sharing some must-have writing tips! Learn what an experienced writer—and inexperienced blogger—thinks about How to Blog a Book by Nina Amir. At Create Write Now! they're celebrating the beginning of Non-fiction Book Writing Month with a visit from the creator Nina Amir and a review of her latest book How to Blog a Book. So how did she do it? Nina Amir, author of How to Blog a Book lets us peek behind the curtain of her writing life. Nina Amir, author of How to Blog a Book, stops by with blogging tips. 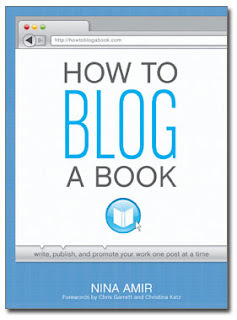 Last chance to win a copy of How to Blog a Book by Nina Amir. This could totally revamp the way you approach writing! If you have a website or blog and would like to host one of our touring authors or schedule a tour of your own, please email us at blogtour[at]wow-womenonwriting[dot]com. Enter to win a copy of How to Blog a Book! Just fill out the Rafflecopter form below. We will announce the winner in the Rafflecopter widget this Friday, October 19.